Cereus repandus, the Peruvian apple cactus, is a large, erect, thorny columnar cactus found in South America as well as the nearby ABC Islands of the Dutch Caribbean. It is also known as giant club cactus, hedge cactus, cadushi, and kayush. 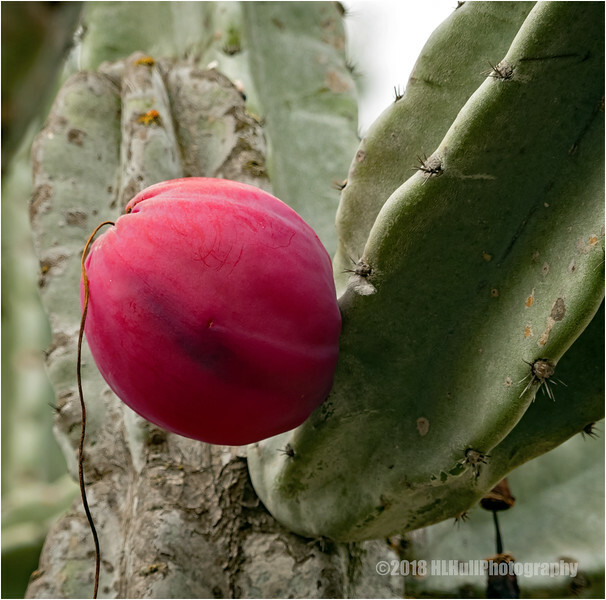 Nice shot of this cactus fruit! Nice pop of color the apple cactus provides against the green thorns! What a wonderful closeup, and quite a cool looking cactus fruit! Wow, what a cool piece of cactus fruit! Sweet picture! I wonder the same as Wayne!